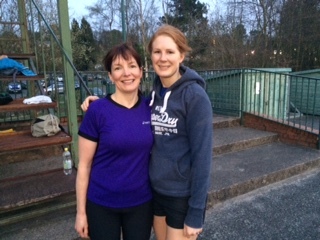 Good Luck to those wonderful SE Fitness runners taking part in London Marathon, including our lovely Speedworkers Sam and Rosie (pictured) and regular Run+ runners Vanessa, Sharon, Andrea and Alison. We wish you a happy, healthy race and every success achieving your goals, can’t wait to hear your awe-inspiring stories. Sorry if I have missed your name we wish everyone taking part the very best of luck.